The Holographic MEMS Analyzer measures 3D vibrations over the full field of view without XYZ scanning. Millions of data points are acquired simultaneously for measurement of 3D vibrations with similar resolution as a laser vibrometer. 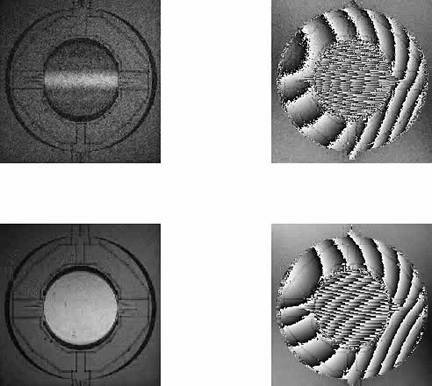 MEMS geometries and movements are often complex to analyze with the presence of holes, or multiple structures. Displacements can be very small laterally and vertically, or very large compared to the structure size. Non contact 3D holography system : Lynceetec is the only manufacturer who provides 3D images in sub nm resolution in few us. Suitable for image, step height, roughness, dynamic changes, lateral resolution 300 – 400nm (lens dependant), vibration insensitive. Commercial profilometers takes 5-6 seconds to construct interferogram/ images, other competing techniques for dynamic applications takes measurements in few selected points , full 3D images not possible. Intensity image: shows the same contrast as with classical optical microscopy. Phase image: provides quantitative data, used for accurate and stable measurements. 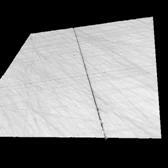 the phase image reveals directly the surface topography with a sub-nanometre vertical resolution. Holograms are acquired in single acquisition, so the instrument is insensitive to vibrations. The standard DHM setup use a single laser wavelength to generate images. 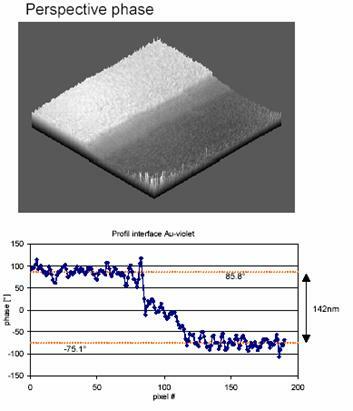 By using a second laser wavelength it is possible to generate a synthetic a much longer wavelength which extends the ability of the microscope to measure step heights from around 340nm to up to 15 micron. The unique mapping software allows fast imaging of step heights while maintaining the sub-nanometre resolution achieved with the single wavelength mode. All DHM configurations provide real-time measurements of topography with sub-nanometer resolution within 200um vertical range. DHM configured with a single wavelength is the ideal tool for measuring smooth surfaces with small local slopes, topography of samples with steps or discontinuities with height smaller than 300 nm within the 200µm live vertical range. Measuring simultaneously at two wavelengths generates a synthetic wavelength which extends the ability of the microscope to measure step heights up to 2.4um and up to within the 200 μm vertical range. Real-time imaging : Video rate acquisition and fast digital reconstruction allow real-time imaging. Dynamic event viewing and active interaction with the observed phenomena are therefore possible. Robust & stable : High acquisition rate (from 30 fps up to 1000fps) the short acquisition time (a few microseconds) makes the method insensitive to external vibrations and avoids the need for a vibration isolation table. Its stability permits prolonged examination sequences. Contactless : The technique uses low-power light to illuminate the sample and form the image. Factory Calibration : The vertical Z axis is intrinsic to phase measurements: it is given by the wavelength of the laser used. The laser sources used in conjunction with a interferential filter ensures perfect stability, specified to a precision better than 0.01 deg. A calibration with reference calibrated targets, as made for example for AFM, white light interferometers, and for scanning systems is therefore not necessary. Digital Holographic Microscopy (DHM®) is a patented technology exploiting the strength of holography. The system combines DHM with hardware, dedicated software, and specific options to respond to the needs from innovative R&D to industrial applications. 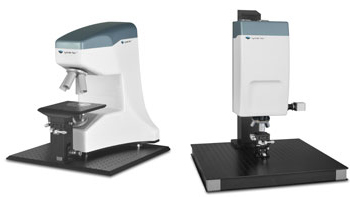 The product range includes microscopes to look through samples (Transmission DHM) and microscopes to measure the reflected wavefront from the sample (Reflection DHM). The DHM technology and products have been developed by Lyncée Tec who also has the competence and flexibility to offer customization and OEM systems. 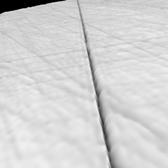 Surface cracks reduces the efficiency of solar cells quite a bit since transport of electrons are disturbed.